we went at 11am on a thursday & roadside parking was a breeze. there were 2 outlets closeby each other – no. 11 north bridge road which was a coffeshop & no. 17 north bridge road. we chose the latter which was aircon though it was not switched on. we left before 12pm & the crowd were only starting to arrive. soup was good. the prime ribs were very sweet & tasty. texture was good too, falling off the bones & yet not overcooked. 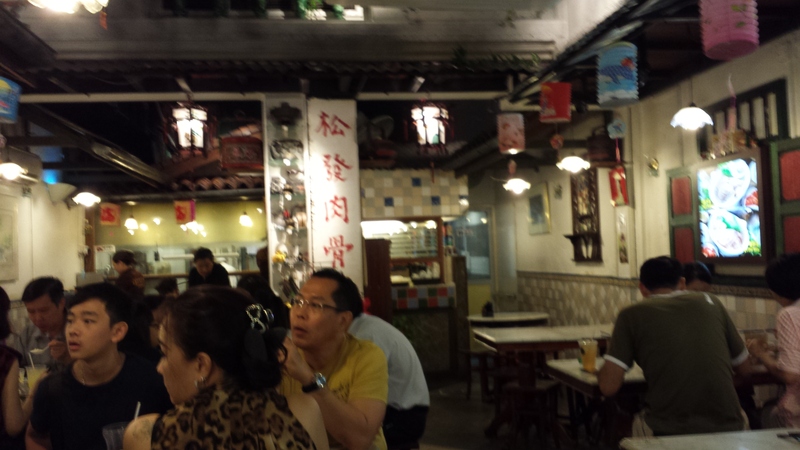 my favourite until recently was rong cheng at sin min road. lately had couple times good baukteh at ng ah sio @ chui huay lim. i thought song fa was better, and price-wise we had 3 long prime ribs for S$8.50+GST vs 2 for S$9.80++ at ng ah sio & S$7 for 1 long rib plus 2 odd bits at rong cheng. 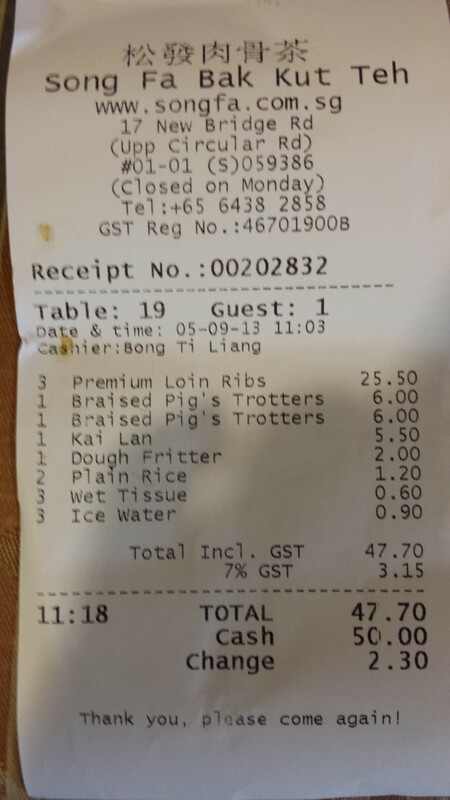 the braised trotters were good too & we ordered a second S$6 serving. 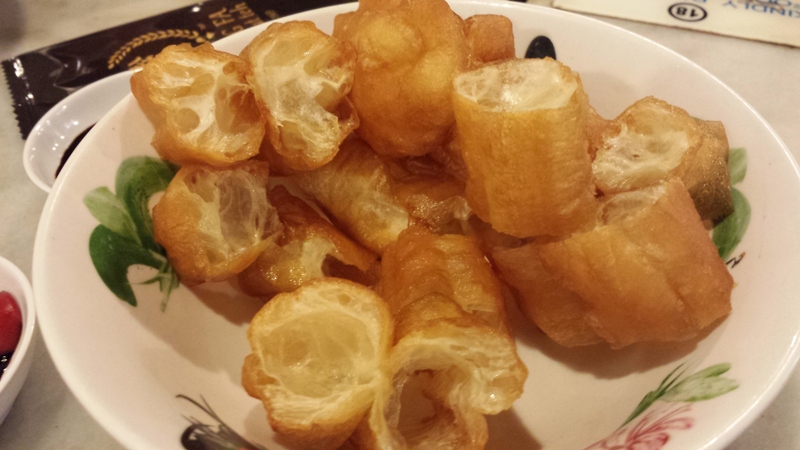 the fatty collagen bits were just right & even the lean parts were tasty & not sinewy. 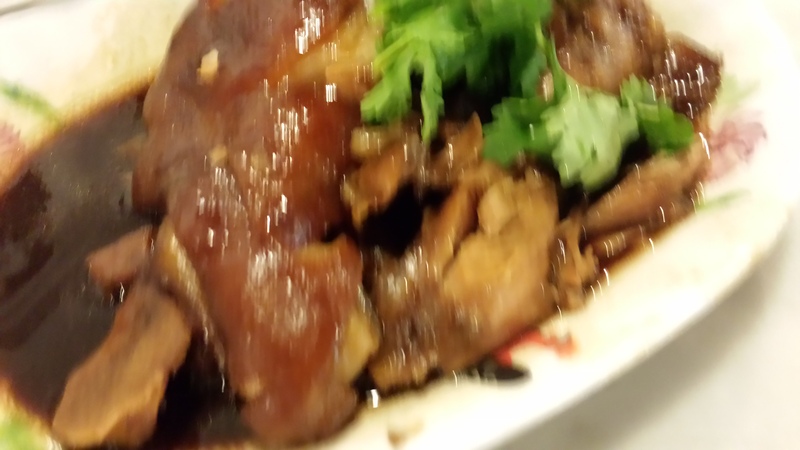 still i thought it was as good or better at ng ah sio & i had better serving portion for S$8++ shared by 2. This entry was posted in Buon Appetito! 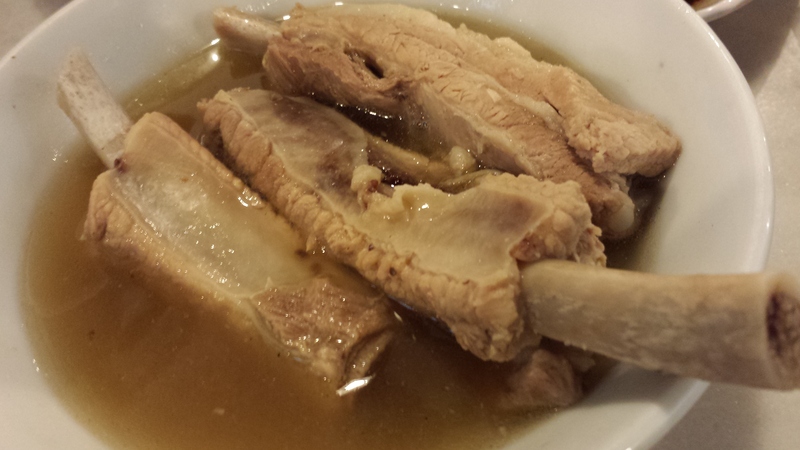 and tagged bakuteh, braised pork trotters, new bridge road, ng ah sio, prime ribs, rong cheng, song fa. Bookmark the permalink.